supports a diverse, inclusive, and thriving community of educators and education researchers to improve teaching and learning about the Earth. Learn about our mission and sponsored events, or get involved. Become a member or make a tax-deductible donation. NAGT offers a variety of webinars, workshops, and conference sessions. NAGT also supports the Serving our Communities initiative. Connect with geoscience faculty across the country. Explore teaching activities, the rock and mineral exchange, and more. Submit a teaching activity to the collection. NAGT hosts a number of resources for geoscience departments at all levels. Join the GER community of practice and get started with the GER Toolbox. 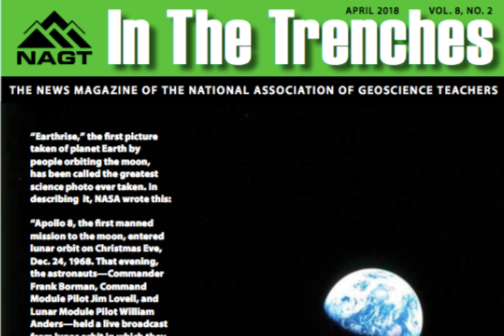 NAGT's publications include the Journal of Geoscience Education and In the Trenches. NAGT grants a variety of awards to both students and faculty. NAGT works to improve science education and inform public policy. From TA awards and scholarships to internships, NAGT is committed to supporting students. NAGT celebrates the ways geoscience educators and students are engaging with local, national and global communities. Read the latest story on NAGT's Serving Our Communities blog by Kevin Theissen. The newest issue of JGE features discussions related to curriculum development and research on science self-efficacy, reasoning about time from space, and other topics related to geoscience education. Explore the latest issue of In The Trenches for articles on Perspectives on Science and Religion. 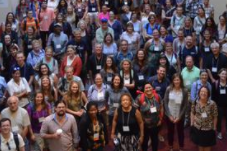 Join or renew today and take advantage of NAGT's member benefits, including In the Trenches, the Journal of Geoscience Education, and discounts on workshop registration fees.